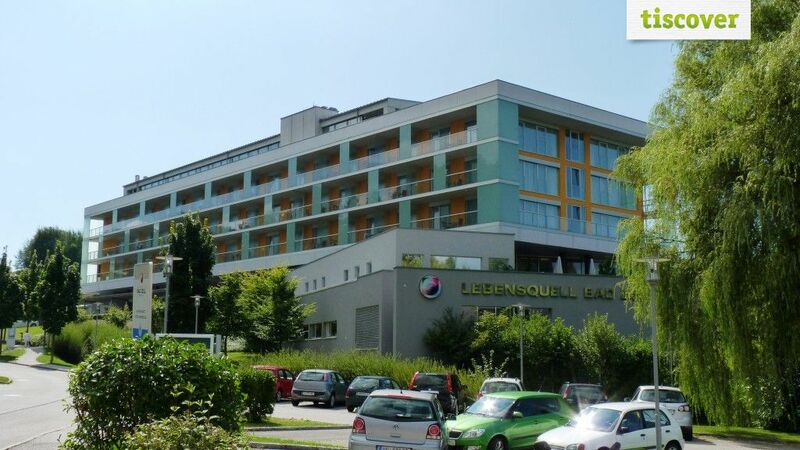 ****s Hotel Lebensquell Bad Zell ****s Hotel Lebensquell Bad Zell warmly welcomes you! Nestled into green rolling hills, the hotel Lebensquell offers a haven of tranquility in a charming atmosphere. The hotel puts much emphasis on the guests well-being and provides comfortably furnished rooms with all conceivable amenities. Various sports and recreation facilities are offered in the large leisure and sports centre. Special highlights are the mineral springs and the professional medical treatments, which try to harmonize man and nature. The hotel and spa enjoys a beautiful setting in the health resort Bad Zell, which offers numerous outdoor facilities throughout the year. The city of Linz can be reached within 30 minutes by car. Elementarium:absolute relaxation for body and soul in the Elementarium: vitalizing sauna, water and sens oasis. Guests can also have face and body treatments in the beauty oasis. by car: Vienna: A1-exit Enns-direction Mauthausen - B3 direction Perg - exit Perg Mitte to Bad Zell via Allerheiligen (180km). Linz: A7 - Unterweitersdorf - Pregarten - Tragwein - Bad Zell (40km). by bus: from the main railway station Linz (40km) or the railway station in Pregarten (15km).